Blue: provides you with 36-hour weather forecasts relevant to your location. 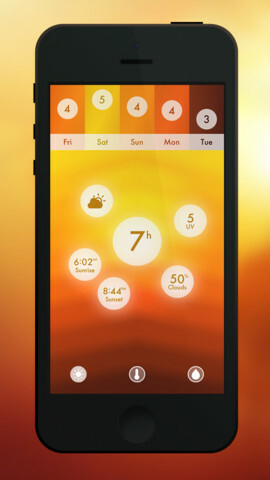 Colors are generated based on the temperature, humidity, and sunrise/sunset times. 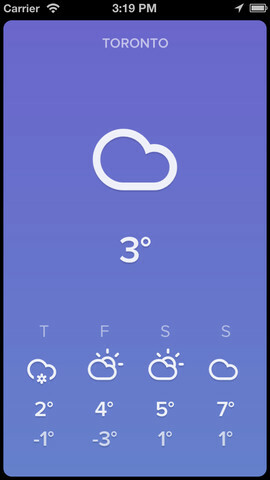 Sky: an elegant app that shows you the temperature by changing its background color. It supports Celsius or Fahrenheit units. Climate Clock: uses an analog clock to display hourly weather information. Just swipe up to see the 10 day forecast. Up to 8 locations can be tracked. 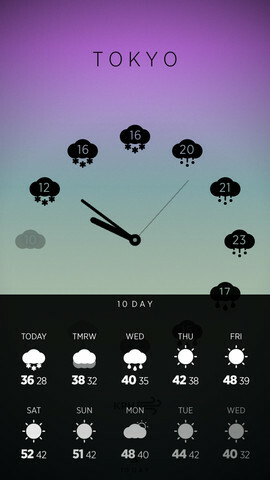 Good Weather: a gorgeous weather application that provides you with weather data but also has weather mini games. 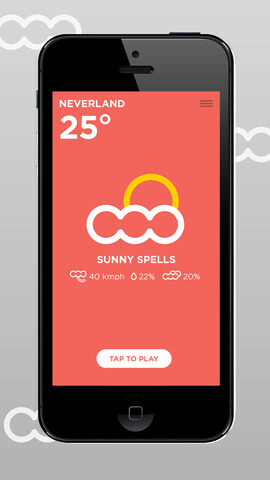 Haze: a beautiful weather application that provides you with weather forecast worldwide. It include sunshine hours, UV, cloud coverage, sunrise and sunset times. 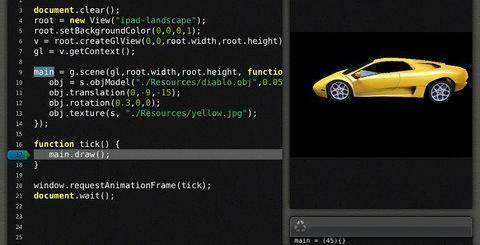 Haze has a very fluid user interface. 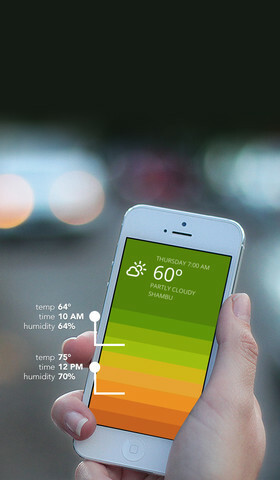 Solar: another simple but colorful app that shows you weather data in a hard-to-miss fashion. It is powered by BestForecast by Wunderground.com. 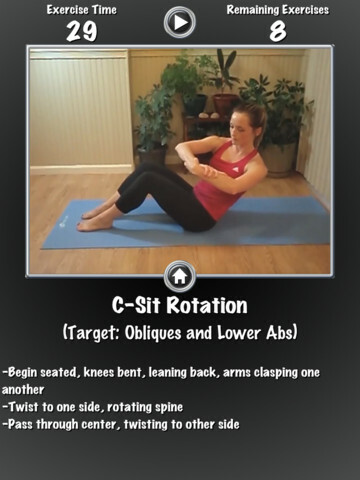 It has a gesture-based user interface. 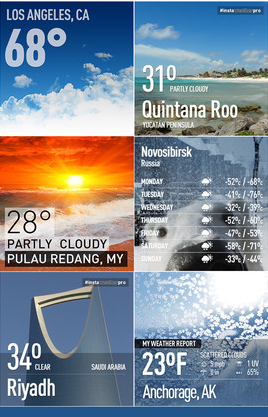 InstaWeather Pro: a useful tool for Instagram fans. 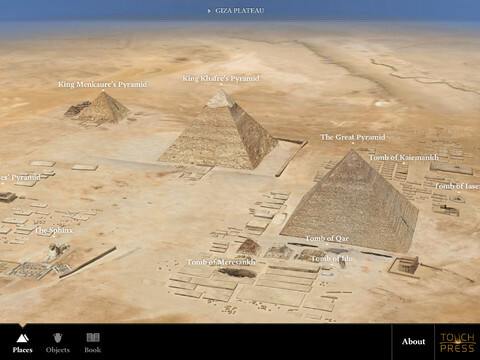 It adds a weather overlay to your photos and allows you to share them on Facebook, Twitter, and Instagram. It has over 30 different skins. 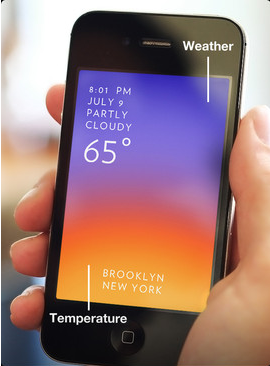 Which one of these weather apps are you impressed with the most?